Did Hurricane Rhett really dig this, or was he just showboating? 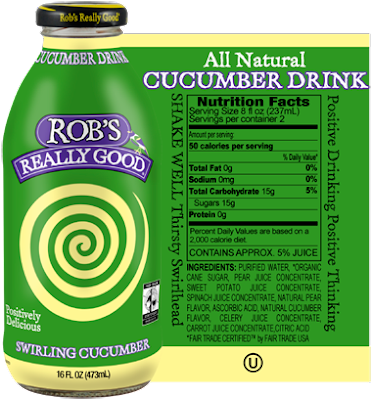 Right off the bat, we try some really good drinks from Rob... that being, Rob's Really Good drinks. Hurricane Rhett even gets a delighted surprise as he enjoys his cucumberness. Then the show gets rolling as Mikey, d$ and Rhett discuss movies like "Rango" and "The Green Hornet"... the attainability of Kate Jackson vs. the other Angels, and which of the new Angels is most attainable (Drew Barrymore for d$, Lucy Liu for Mikey)... puppy love... puppy hospital hate... and a Music Minute that sounds like Harold Faltermayer ("Alex F") and Herbie Hancock threw up in the same petry dish and they spilled it on a 1984 synthesizer. Other things discussed in earnest vary by such topics as "World's Dumbest..." on TruTV... the death of Ian Abercrombie (no Fitch, though)... Ryan Seacrest and Mark Cuban... "Super High Me" and "Freakonomics"... SAG Award highlights... debating whether to go see "Star Wars Episode I: The Phantom Menace" in 3D... and our very first Kenny G Watch! Finally, another edition of Reel or Unreel, plus The Big Three Biggest Drop-Offs from One Sequel to the Next, including movies from such franchises as Star Trek... Grease... Superman... Rocky... Indiana Jones... and even Teen Wolf! Join us next week as we attempt to bring in The Good Doctor Earl, and ask him what exactly is Mesothelioma?... more crap from Mikey... Bonnie Raitt and Brian McKnight in Part IV of the Saddest Songs Ever... and The Big Three Best Presidents in TV and Movie History. That's all on The Deucecast Episode XLI: The Podfather!